I despair at the prevalence of electronics and black, shiny and sleek interiors and decorations being the preferred way of living today. Kids play with iPads and computers instead of dolls and trucks. Young people often spend much of their time with electronics instead of forming connections to people and places and things. Old people often must part with their old and lovely things so they can move into a small, convenient Senior apartment. 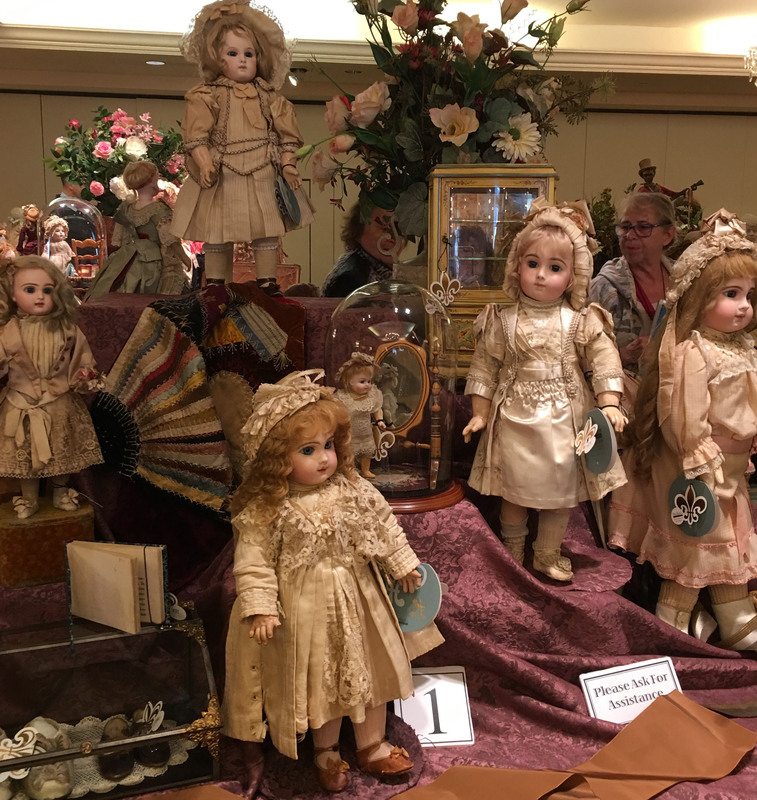 Antiques all seem so passé in our culture—back in the day families used to fight over antique heirlooms; now, they don’t think they fit in with their shiny modern spare furniture. I realize this is all a bit hypocritical of me, since I built my collector’s and writing career right here, online. As I said, you’ll have to indulge me. As a very public collector of dolls, I certainly try to do my part educating and sharing my love of dolls with people. When I speak about dolls lately, I often will use dolls to illustrate history, and show their importance as historical objects. Not only are they historical, but they are also beautiful. Most antiques are like that—beautiful, historical objects that can connect you emotionally to the past. If displayed properly, these objects from the past can fit in with any modern interior. And the past is important, no matter what living in the present with your iPhone tells you. Perhaps in the future there will be a giant backlash against electronics and new technology being the be-all-and-end-all; you can already see this sort of backlash with music lovers who have been seeking out old-fashioned record albums and preferring their sound over CDs and MP3s. And so many antiques have a workmanship and quality of materials and design that you just do not see in today’s made-in-China world. So, it’s not impossible that in 10 or 20 years, Generation X and Millennials (especially Millennials, who have had Internet since birth) will wake up and say hey!—all those old dolls and old wood furniture and old toys and old textiles and china—I really love that. This entry was posted in Antique Dolls and tagged antique dolls, editorial. Bookmark the permalink.